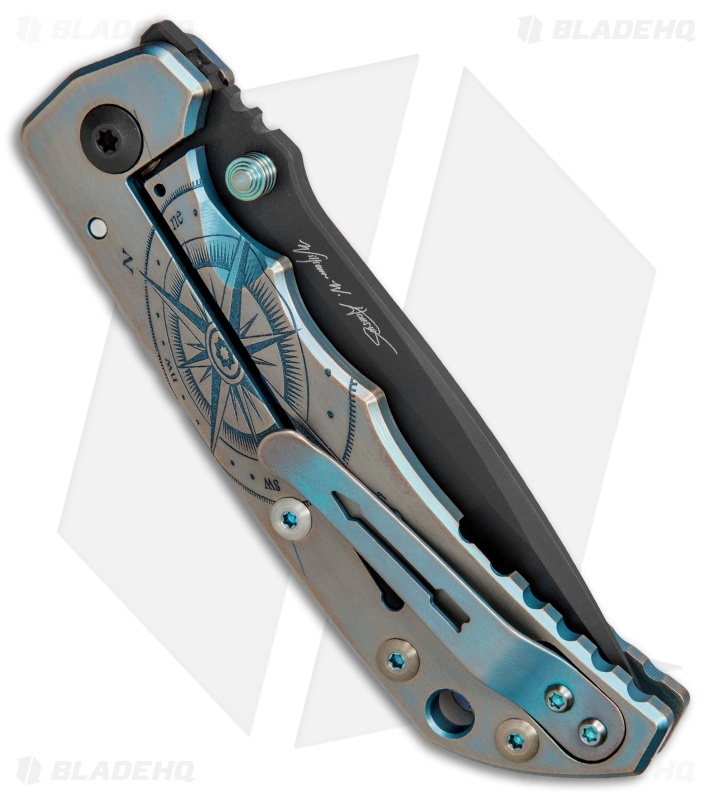 This Special Edition 2018 Harsey Folder sports a black PVD coated blade and a titanium handle with a Compass graphic. 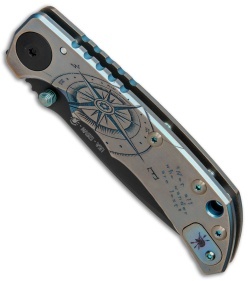 Spartan Blades have another winner on their hands with the undeniable Harsey Folder frame lock knife. 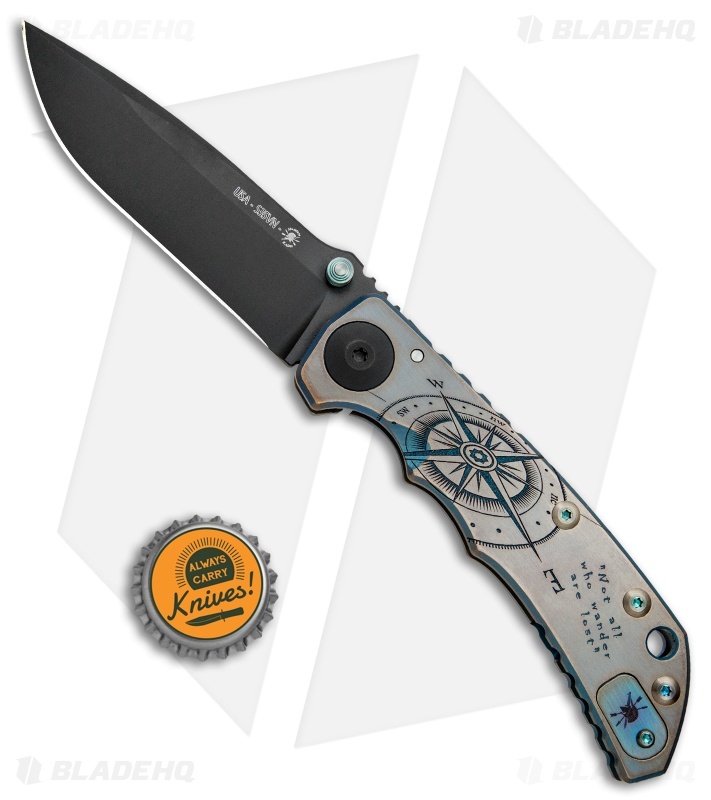 The name says it all, with an impressive William Harsey design and solid titanium construction, there is no cutting task too big for this dependable utility blade. With the exception of the blade, pivot, and stop pin, everything on this knife is made from solid, reliable titanium. A reversible pocket clip and dual thumb stud openers provide a fully ambidextrous design that everyone can use and appreciate. Full titanium construction offers a rock solid build that won't weigh you down. Fully ambidextrous use is accommodated with a reversible tip-up pocket clip and dual thumb studs. 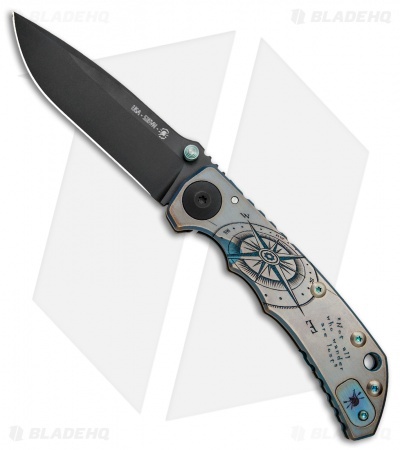 CPM-S35VN steel provides a strong blade with maximized edge retention.